For nearly a decade, Jim LeBlanc, a long-time operations process leader at the Resolute Forest Products’ Ponderay Newsprint plant in Usk, WA, struggled to maintain uptime at the plant’s 40,000 pound per hour fluidized bed boiler. One major source of the mill’s problems with the boiler ash system: the use of a flawed valve design in original construction that didn’t seal properly and consequently repeatedly let moisture into the ash system that forced a shutdown. There were also many times when the leaks caused by the valves would lead to a loss of the vacuum in the system and then fly ash would fill up in the boiler. “At times, it took us days to evacuate the fly ash from the boiler. This was a really costly problem for the plant,” said LeBlanc, noting that downtime costs can be extensive. It’s not surprising then that LeBlanc and the rest of the plant leadership team were determined to put their valve problems behind them. And that’s exactly what they did when the plant began replacing their existing single dump valves with Plattco double flap valves. Outsource valve maintenance to reduce costs and address staffing restrictions. LeBlanc did extensive field research before identifying Plattco Double Flap Airlock® valves as the right solution. “Everywhere I went, I’d say 90% of the places had Plattco valves. Obviously, a lot of people swear by Plattco products and that sold me on the fact the company’s valves would be the best solution,” LeBlanc said. 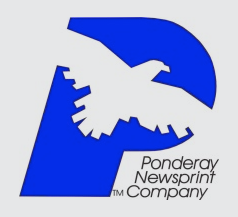 The Ponderay Newsprint Company produces 244,000 metric tons of newsprint per year. The Ponderay plant has set up a schedule to have the seats and flappers on the valves reground by Plattco experts to help the plant extend the life of the valves. Ponderay also plans to use the Plattco Field Service Program and have a trained technician come in and perform annual servicing.